Lieutenant Chip Jones has been helping families at Christmas time for more than 20 years. This year was no different. 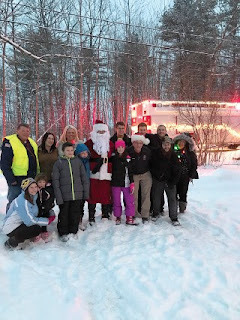 Last Friday, Windham firefighters and a few volunteers delivered supplies, presents and joy to five families in Windham. Jones started delivering presents to families in need when he lived and worked in New Jersey. Six or seven years ago, he started a program in Windham. “It’s awesome. I love doing this – getting the reaction from everyone. You hear their stories where they save enough for a winter coat for their child and that’s all the kid gets,” said Jones. Armed with a fire truck lined with Christmas lights and a bus filled with boxes of Christmas presents and other items like paper towels and toilet paper, Jones, Santa and the crew left in a snowstorm to deliver the presents. The children who benefited were from age one to age 11 and most were impressed that Santa would stop by their house. A few children were apprehensive, but warmed up to the jolly guy after a few minutes. 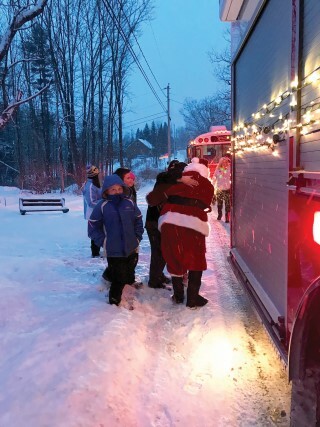 Donations were collected from 41 businesses and the Windham Fire Department members. Jones collected the items from around the area and a group of 12 volunteers wrapped the presents the night before the delivery. Hannaford donated five ham dinners with all the trimmings and McDonalds donated six turkeys for the families, who were chosen by application at the Windham Food Pantry. “You just made that little girl’s day,” said one grandmother, who gave each volunteer a hug. One family made the firefighters an ornament for their tree and gave them a thank you card. The mothers from the families knew what was happening, but for the children it was a wonderful Christmas surprise. The annual event usually takes place the Friday before Christmas. 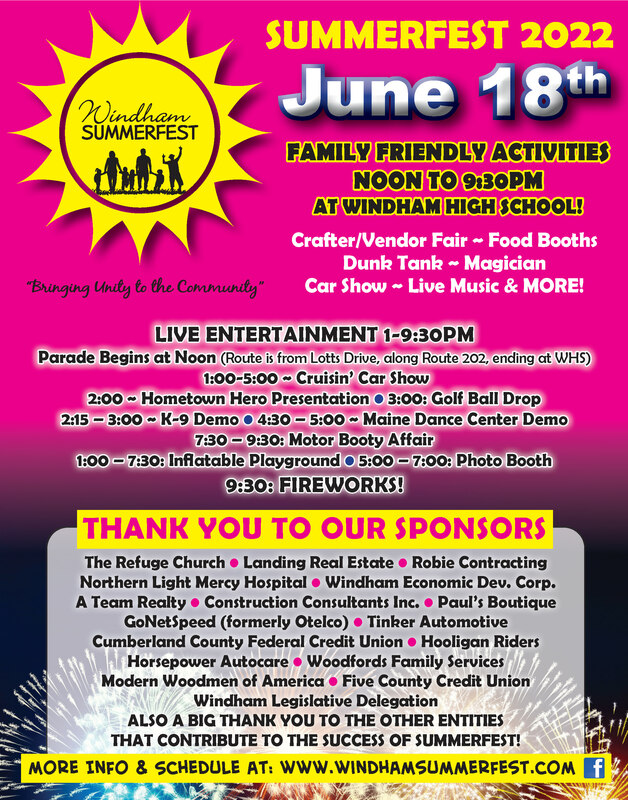 To get involved, contact Chip Jones at the Windham Fire Department.